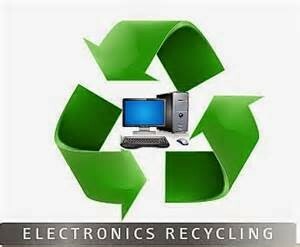 Our Redeemer’s Lutheran Church, 2400 NW 85th St, is partnering with SBK | Green Century Electronic Recycle for an E-recycling event. See below for the list of accepted items. The EarthCare Team from Our Redeemer’s will be collecting clean, dry styrofoam (please remove all tape and labels; they can’t accept hot tub covers or any other styrofoam that is wet or has been out in the weather). PLUS gently used clothing will be collected for donation to The Bridge Care Center. We are especially looking for men’s jeans, socks and shoes. Saturday, April 22, 9am to 3pm. Please do not drop off anything before 9am. Recycling is in the parking lot on 25th Ave NW. Recycling is FREE. Our Redeemer’s Youth will be on hand to manage the event and accept donations for their Mission Fund. Nothing that has chemicals in it. No light bulbs or furniture. Lawn mowers or anything that could have had oil or gas in it must have oil/gas drained out.